CHEQUE Cheques should be crossed and made payable to “Six Sigma Institute Limited”. 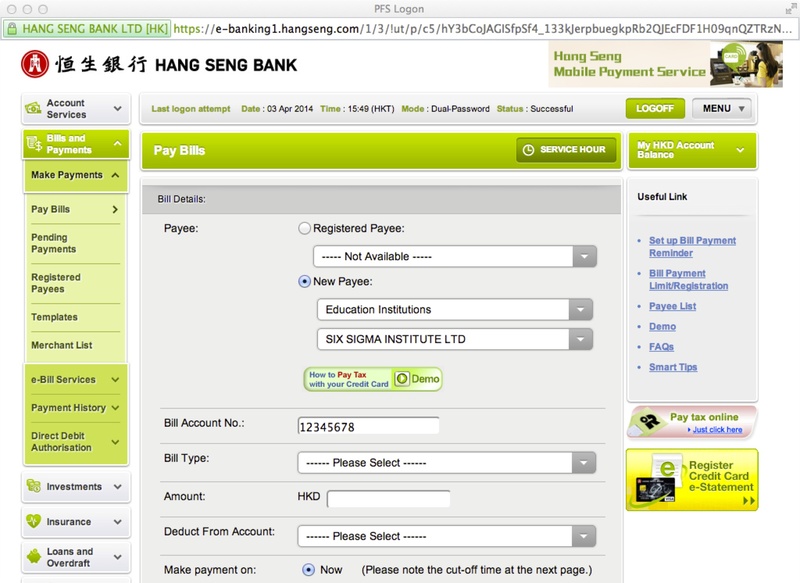 Please send the payment to “Six Sigma Institute Limited, Unit 1627, 16/F, Star House, No. 3 Salisbury Road, Tsim Sha Tsui, Kowloon”. Please write the applicable customer account number on the back of the cheque. Post-dated cheque will not be accepted. For those who would like to get 10% off early bird discount, course fee should be settled 4 weeks before the course commencement date.For general students (those who do not claim CEF) are required to settle the full amount of course fee 2 weeks before the course commencement date.For those who claim CEF, course fees should be settled according to the confirmation of course.